This year my hubby and I chose to homeschool our kids and have a year of learning, play, and adventure. I have to admit, however, that creating a classroom had me fairly excited! We have a room in our home just off our kitchen that was once upon a time the kid's playroom, which turned into a furniture storage room (before I got that disaster under control and moved out of the house! ), and then a family office. 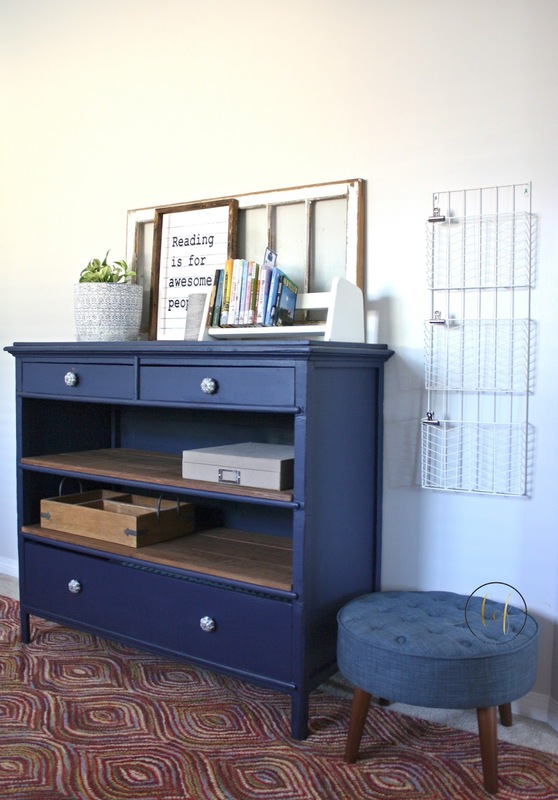 The functionality of the space as our family office never really worked, so I was definitely ready to rework the space and get it set up as a classroom. Confession: my family thought my notion of a classroom was humorous. I always wanted to be a teacher, and used to set up a classroom and play as a kid. I still have a penchant for school supplies and most things teacher related, and spent several years as a Teacher's Assistant and a translator for children with hearing impairments. I needed a bookshelf for my classroom to house all the papers and books for school. I started looking around my stash and remembered this piece....the ultimate trash to treasure piece! Many months ago my hubby and I were driving home in town and I saw this piece on someone's front lawn. Just sitting there, no sign, no nothing. Even in the whiz of driving by, I knew I needed it! I made my hubby turn around so I could get a better look at it! We sat there for several minutes - me telling him how much I needed it. It is a huge piece and we were in my car - not going to happen! 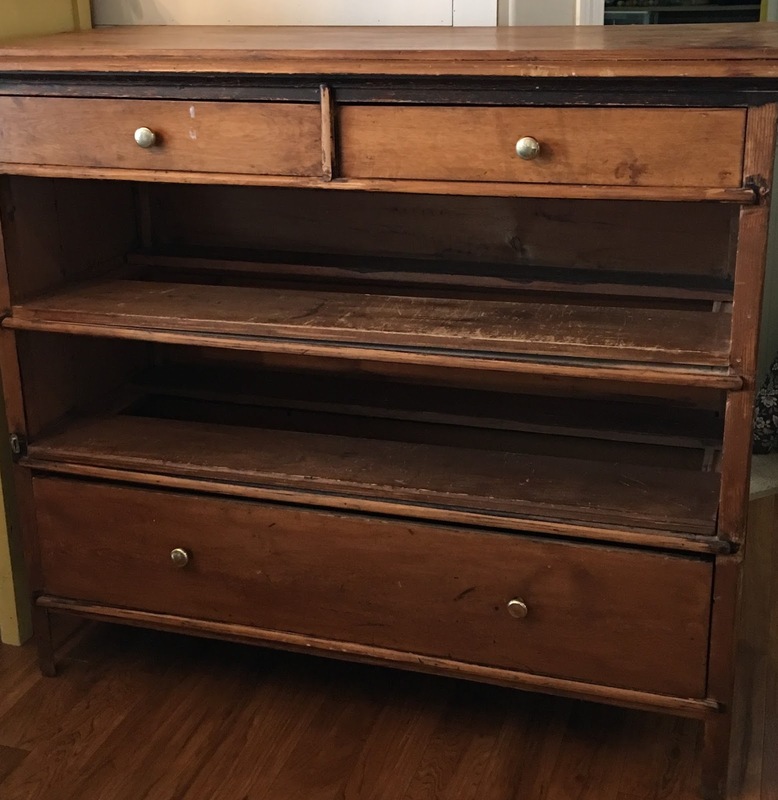 But I really do have the sweetest hubby - he went back with his truck, knocked on the lady's door to see what the situation with it was, and scooped up this piece for free! Isn't he the best?! It was rickety and not in great shape - which is not uncommon for furniture that I find! It has boatloads of dings and dents - aka, character - but had such potential. With a little TLC and a good clean, I got to work. I removed the plank shelves inside and sanded and stained them. 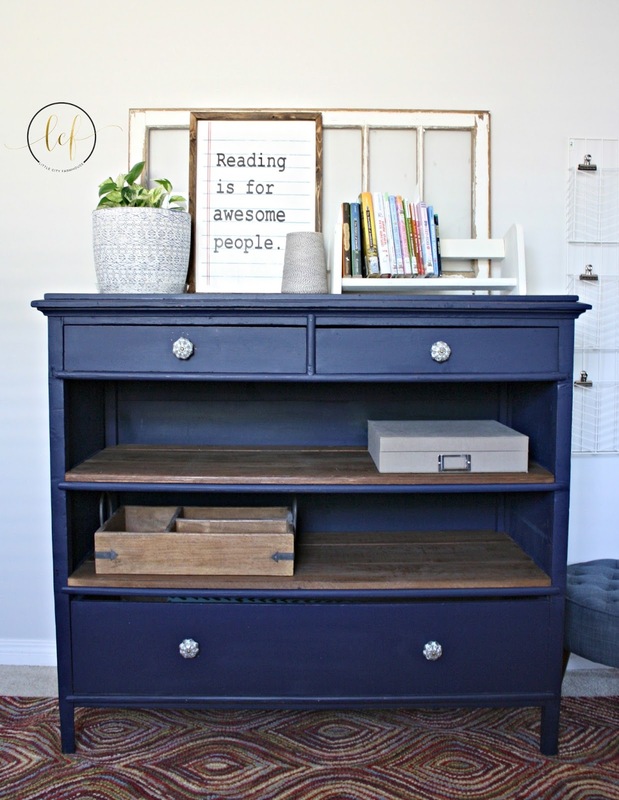 I painted the rest of the piece in Peacoat - the perfect navy from Country Chic Paint. I distressed the piece just around the edges using my favourite flexible sandpaper and then gave the whole piece a coat of hemp oil. This piece had no previous finish on it so hemp oil was the perfect topcoat to start with. Hemp oil will absorb right into the wood and protect it from the inside out. I like to pour a usable amount into a small plastic cup and use a foam brush (these are the absolute best and last forever!) to apply the oil. When it was dry, I followed up with a coat of wax. 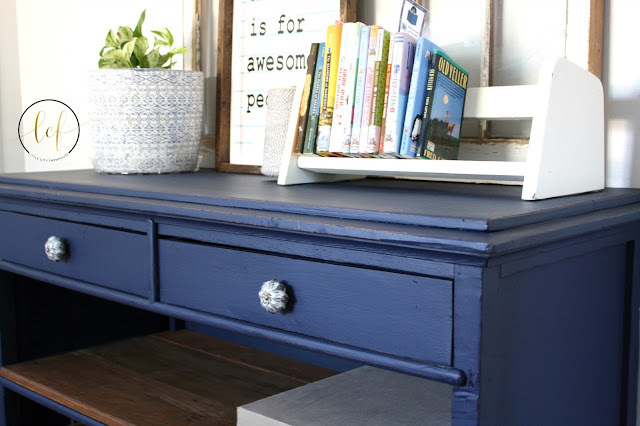 I added some pretty knobs and now this shelf holds a ton of books and stores all those office things that we all need but aren't so pretty! I aboslutely love this colour. It looks perfect on this not so perfect piece! 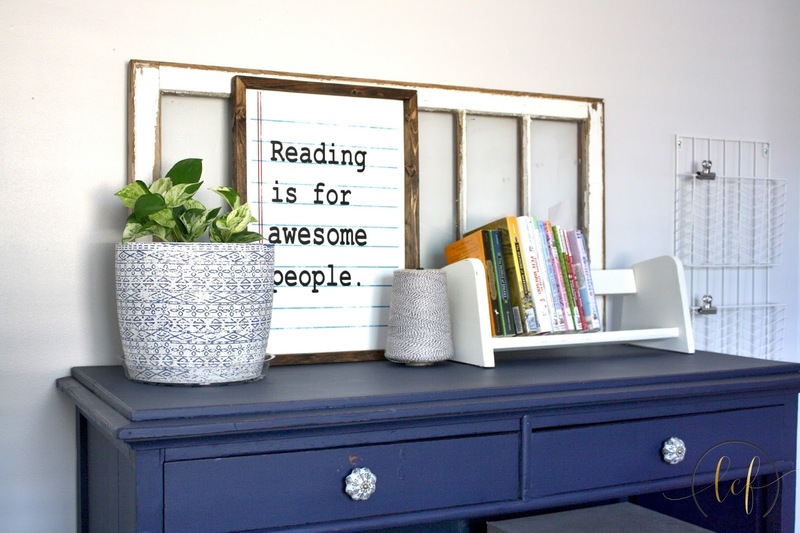 I am working on giving you a tour of the rest of the classroom - we did some more DIYs with Country Chic Paint around the room that I can't wait to show you!